NEW! 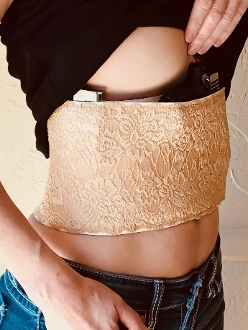 Our xXxtreme Corset Holster has all of the same features you love in our Original Corset Holster, with the addition of two 3" wide pockets — perfect for a additional magazine or license. See Sizing Page for detailed instructions ensuring the correct fit. Au Naturale elastic is latex free.